Market Bookings Odds Both teams to Score? First Half Goals 0.5 First Half Goals 1.5 Half Time Half With Most Goals Match Odds Over/Under 0.5 Goals Over/Under 1.5 Goals Over/Under 2.5 goals Over/Under 3.5 Goals Over/Under 4.5 Goals Over/Under 5.5 Goals Penalty Taken? 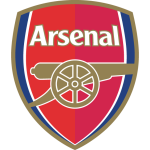 i bet this type for tonight because i think the home team tonight arsenal will win tonight in the full time tonight , because this team in past matches the team arsenal has 3 wins and i think this team and tonight will win. Arsenal and West Bromwich Albion meet at Emirates Stadium, in a match for the 6th round of the Premier League. The head‑to‑head history at this stadium, favours the home team, since in the last 5 head‑to‑heads they won 5. Accordingly, in the last head‑to‑head played at this stadium, for the Premier League, on 26‑12‑2016, Arsenal won by (1‑0). O. Giroud (86' ) scored the only goal of the match. Arsenal registers significant differences between home and away results, so the home/away factor is worth special attention. After 2 wins, 1 draw and 2 losses, the home team is in the 12th position, havinf won 7 points so far. In the last match, they have tied in an away match against Chelsea by (0‑0), after in the previous match they have won (3‑0) at home, against AFC Bournemouth. This is a team that usually makes good use of the home advantage, stronger with the help of its supporters, since in the last 30 matches they register 6 wins, 2 draws and 7 losses in away matches, with 19 goals scored and 25 conceded; against 11 wins, 2 draws and 2 losses at their stadium, with 32 goals scored and 15 conceded. They come to this match after a home win against Doncaster Rovers by (1‑0). Arsenal has won 8 and lost 2 of the last 10 home matches. In their home matches there is a tendency for goals, since 29 of the last 33 matches have ended with Over 1,5 goals. In 15 matches, they have conceded the first goal 8 times, but have turned the score around in 4. Arsenal is having a bad start in this competition, as they are in the bottom half of the table, but they showed signs of improvement in the last couple of matches, with a good draw away from home against Chelsea and they want to maintain the positive phase to get close to the leaders. Their biggest problem has been their defense, as they conceded 8 goals already and is the 7th worst in the competition, but coach Arsene Wenger seems to be finding a way, as they have only 1 conceded in their last 4 matches. Playing at home, they are usually very strong, as they have 2 wins in 2 matches so far, with 7 goals scored, and they have 7 consecutive wins at home considering only league matches. In this match, they should have the return of a key player, Mesut Ozil, who was injured and will know return to help with the creativity in the midfield. The away team is currently in the 10th position of the league, with 8 points won, after 2 wins, 2 draws and 1 loss. In the penultimate match, they lost in an away match against Brighton & Hove Albion, by (3‑1). In the last match, they tied in a home match against West Ham United, by (0‑0). This is a team that usually maintains its competitive level in home and away matches, since in the last 30 matches they register 4 wins, 4 draws and 7 losses in away matches, with 16 goals scored and 22 conceded; against 5 wins, 2 draws and 8 losses at their stadium, with 12 goals scored and 15 conceded. In their last match, for the League Cup, they got a home loss against Manchester City by (1‑2). 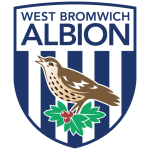 In the last 10 away matches West Bromwich Albion has won 4, tied 1 and lost 5. Their offense has scored consistently, as they have scored goals in 4 of the last 5 matches for this competition. West Brom had a good start in this competition, with 2 wins in their first 2 matches, but they started to underperform and now have 3 consecutive matches without a win, and they must improve to get back to winning. They are having bad attacking performances in their last matches, as they have only 2 goals scored in their last 3 matches, and it is not by accident that they are one of the worst in the league. Playing away from home, they have a lot of defensive difficulties, as they conceded in 21 of their last 23 away matches, which should be a problem against this next opponent. In this match, coach Tony Pulis should be without Nacer Chadli, one of their main players, but they will have the return of Jake Livermore. A match that should be pretty uneven, as it will be between two different teams when it comes to quality and form, as Arsenal is improving and have a high quality squad, and West Brom has 3 matches without a win and only an average squad. Also, Arsenal is very strong at home, especially in this competition, where they have 7 consecutive wins, and they conceded in only 2 of these matches, and West Brom struggles playing away from home, and have only 3 wins in their last 16 official matches, with goals conceded in 21 of their last 23 in these conditions. With the stats in mind, we believe Arsenal will take advantage of being at home and their superior squad to win 3 points without much difficulty. We already are 173033 members. Register here.